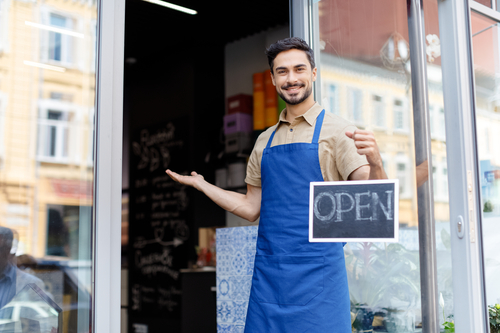 As we mentioned, protecting your business against intrusions or break-ins and protecting your inventory from burglars and shoplifters should be one of your main goals as a retailer. Retailers, no matter what the scale of their business is, need to recognize the aspects of their business where they are at risk. They then need to devise a building security plan; an efficient plan that when correctly implemented, will effectively secure your business assets both during and after store operating hours. An effective building security plan integrates both message-driven tactics such as employing security personnel and posting warning signs and business security systems hardware such as security cameras and alarms. A video surveillance system is one of the most useful commercial security tools. It’s highly effective when collecting evidence to prove theft. Additionally, the mere sight of video surveillance systems is proven to deter would-be shoplifters. Strategically placed video surveillance systems allow retail store owners to monitor critical areas in the store in real time. They can also receive alerts and notifications whenever any strange activity is detected. Here are some of the places throughout your store; we recommend placing a video surveillance system. Get in touch with a business security systems professional to ensure the correct placement and installation of video surveillance in your retail store. Today’s technology has dramatically altered the way consumers pay for the products and services they need. The components of a retail POS (point-of-sale) system includes debit and credit card reader and a cash register, which involves a computer and monitor, receipt printer, cash drawer, barcode scanner, and customer display screen. POS systems require an internet connection for it to function. POS systems contain important consumer data such as their payment details; this makes POS systems highly attractive to hackers. The consequences following a POS system hacking could be extremely detrimental. From losing the public and consumer trust to facing possible lawsuits and massive settlements as an outcome of the breach. Install trusted antivirus software. This will allow you to do a routine scan for malicious files and viruses. Use encryption to conceal confidential customer data and information shared across multiple networks. Allow for the use of complex passwords and multiple-step verification to verify your identity before you can access your network. Network security experts also recommend to update your login information every five months; make sure your passwords use a combination of symbols, numbers, and upper and lowercase letters. To identify the vulnerabilities and weaknesses of your network, do a frequent software update. Utilize a POS monitoring system that detects cashier violations as they happen. These systems can send real-time video clips to your computer or mobile device. Since everything that has to do with network security tends to get more technical, it’s essential to work with a trusted business security systems company to help you navigate the process. 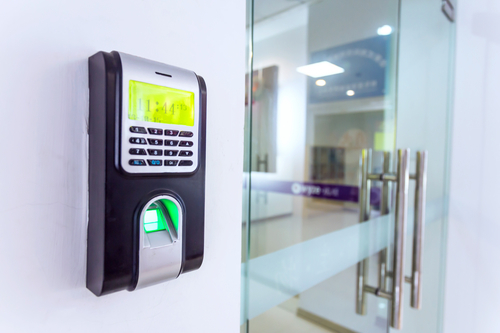 Access control systems allow retail store owners to limit or expand entry to specific areas of their store. With access control, you can assign unique, specific codes to individual employees, depending on their position. For instance, manager and assistant store managers can have access to the inventory room, while regular and part-time employees do not. You can also use access control to know what time your employees arrive to work and what areas of the store they can gain entry. So in the event of employee theft, identifying the culprit can be easier with time and entry logs collected from access control systems. These tools let you know which member of the staff was in what room and what time.